traditional medicine or insomniaInsomnia insomnia or disturbed sleep is a disease due to psychological problems of the patient. Stress, many minds, the workload, the burden of life could be the trigger factor. Obvious means to avoid it you should rilexs, calm, and peace of mind. Insomnia This is one factor that makes you less to enjoy life, because obviously the night restless sleep, awake but not calm. Daytime sleepiness, and you may be one of disruption in your business menjalai. 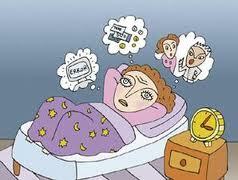 So immediately treat your insomnia penyaTkit with traditional medicine for your insomnia. * After a rather cold, eaten. * 60 grams of peeled cactus that has been cut into pieces and then boiled with 600 cc of water to the remaining 300 cc. After that, water is drunk while warm. Previously there ya tips to avoid and reduce your insomnia. Avoid eating and drinking too much before bed. Sleep in a comfortable environment. Reduce consumption of drinks are stimulants that keep you awake or as tea, coffee, alcohol and cigarettes. Makananlah snacks that contain fewer carbohydrates before bed, if available, add a glass of warm milk. Wash with warm water 30 minutes or an hour before bedtime. Stop watching TV, reading books, at least an hour before bedtime. Use your bed for sleeping. Sleep and wake up in a period of regular time each day. May be useful and get-well of your insomnia. Do not forget to try traditional medicine insomnia above.